I am so thankful to the following individuals for their encouragement in this project. Bless you for your tireless work on behalf of the unborn and the women who carry them.
" As a journalist and author who has extensively covered the lives of men and women serving in the military, the book that Nicole W. Cooley has written stands out as a courageous personal testament to the horror that can be visited on women soldiers by men who wear the same uniform. The line: we have met the enemy, it is ourselves, comes prominently to mind. Sexual abuse of women troops remains a problem, in fact an increasing problem, and Cooley’s book casts a searing light on this travesty." "Thank you for bravely sharing your story on your website. I would love to award you with the 4titude Award. This award is one that is given to mothers who have endured a trial, setback or loss in their life that has spurred them on to create something of value out of their pain. 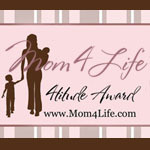 I believe that you have done this with your book and your website and by making yourself available to other mothers." “Nicole’s honesty was refreshing at a time when people tend to hide from the truth. It encouraged me to get out of my own personal pit of hopelessness. As a result, I have had the courage to share my own story to help others as well." "What an amazing experience it was reading your book. I felt like I got to know you in the hours I spent in those pages. Once I started reading, I could not put it down. Thank you for sharing that with me right now. Your example of faith in disasterous circumstances really inspired me. I felt like I traveled the journey with you. I know God will use your words and your story to ignite a passion for Him in women who have been through similar trials." "The structure of the book is well thought out. Adding the Appendices is smart. Your reader will not be distracted from the main story line to take in the Appendices material. The events in your story are balanced and one does not overpower another. That approach allows your story to flow rather than "peak and valley." Interestingly, each chapter stands on its own, but adds the needed value to the whole. The "Epilogue" is a strong feature. It serves almost as a starting point and a conclusion. It appears each word of the "Epilogue" was carefully selected. The statements are very powerful and provide a wonderful challenge for the reader. As an educator, the "Discussion Questions" are a key feature. I could use the book in a support group or assign the questions to individuals. The questions capture the content and allow the reader to process "your story" into "my story." I hope your book finds it's way to every base and ship chaplain. Every seminary teacher who trains Youth Ministers needs to have a review copy. Your content would be a super training tool for any pastor in his counseling ministry. Nicole, you have added a needed volume. Thanks for all the time, prayer, and writing." "Nicole is a woman of great courage working to keep other women from the painful experiences she has known." "Nicole: I just finished reading your book. I left Washington to come to Miami on the first or second week in April of 94. Your dad never even hinted about the problems you and the family were going through. I did noticed that he had become a little bit more introspective those days. I wish I had been more supportive of him because he must have been carrying a very heavy burden. But you were also going through a very traumatic experience that caused you to go through quite an ordeal. I want to thank you for sharing your life story in such a frank and open way, particularly how you found Jesus and gathered your strength through His healing power. You and your husband are blessed and have a very nice family. Some of your children were not easy and that was also quite a story. I could not help seeing the face of Howard in the photos of your children. Give my regards to Patrick and take very good care of him because he loves you very much. You also have a great mom. Thanks for signing my copy of the book; I will treasure it." "What a heartwarming story. 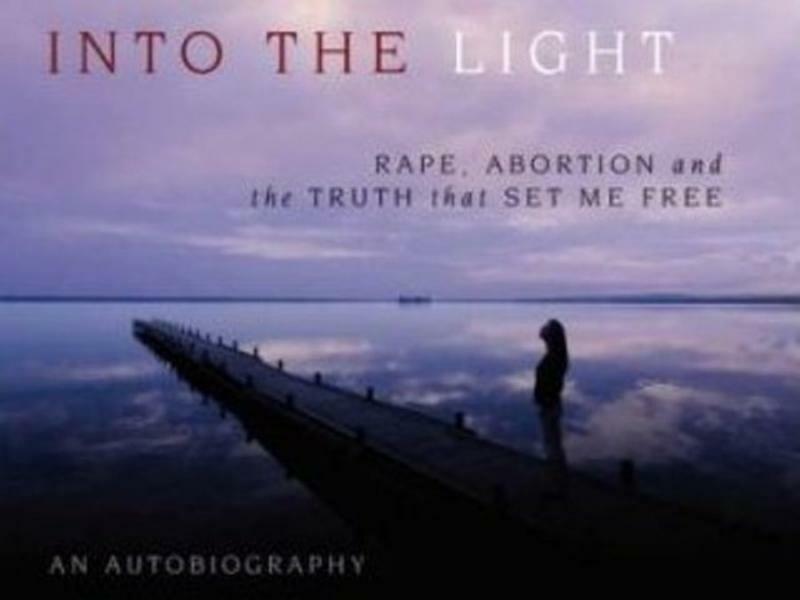 I'm so glad that you wrote your story; I know it will help many girls and women who have had abortions or who may be thinking about one. Hopefully someone will turn them on to your book for help. I'm so sorry you had to go through that yourself. A speaker in my Church once answered a question as to why we have to go through such things in our lives and he said sometimes we go through them so we can stop them from happening to someone else. From reading your book I can understand his answer. The Lord is using your experience so you can help stop some of these terrible abortions. Your book will help save many lives. It is so amazing what the Savior did for all of us. Nicole, thank you for sharing your story." " I have just begun reading the book and it is truly inspirational! Nicole has a story to tell that every one must hear in their lifetime." To purchase Into the Light now, click on the image above.